Last year’s federal tax cut bill changed 529 college savings accounts in a major way, expanding them so that they can be used as tax shelters by higher-income families who choose to send their children to private K-12 schools. This controversial change was added in the Senate by the slimmest of margins—requiring a tie-breaking vote from Vice President Mike Pence. But because Massachusetts links its own tax code to the federal code, the state automatically inherited this provision without debate and now offers its own tax preferences for private and religious K-12 education. This is a stark reversal for the Bay State and could be subject to legal challenge because the state’s constitution severely restricts tax subsidies for private K-12 education. But even putting aside any legal questions, the change is problematic because of its cost and the way in which it will reward the state’s wealthiest taxpayers. Prior to the passage of the federal tax bill, Massachusetts offered two tax subsidies to support investments in 529 college savings accounts: a tax deduction for contributions into 529 accounts, and a tax exemption for earnings generated inside the accounts. The change in federal law caused these state tax preferences to expand to cover private and religious K-12 tuition as well, reducing state revenue and leaving other Massachusetts taxpayers to face the consequences of reduced funding for services such as public schools. In Massachusetts, the tax deduction for 529 plan contributions is capped at $2,000 per year for married couples or $1,000 for single taxpayers. When claimed against a 5 percent state income tax rate (the current rate is 5.1 percent but is expected to decline soon because of a prior trigger rule), this deduction is worth $100 per year for couples or $50 for single parents. It is impossible to precisely estimate how many private school families will begin claiming this tax benefit for the first time because any family already using the state’s 529 accounts to save for college will likely have already reached the annual deduction cap. But ITEP estimates that the revenue loss would be about $1.1 million per year if one-quarter of current private school families begin using the deduction for the first time, or $2.2 million per year if half of those families begin to do so. For wealthier taxpayers, the ability to generate investment income inside the state’s 529 account tax-free will be the more lucrative tax benefit. Wealthy families can “superfund” a 529 account—putting large sums that will eventually be needed to pay for private K-12 (and college) educations into that account upon the birth of a child. The new federal law allows up to $10,000 to be withdrawn each year to put toward paying private K-12 tuition, meaning that throughout a child’s 13-year stint in private K-12 schools, up to $130,000 can be withdrawn tax-free. Assuming the investment compounds with a fairly standard 7 percent annual rate of return and tuition payments start when a child is five, the maximum withdrawal amount ($130,000) could be generated with an initial deposit of $64,000. Exempting the earnings ($66,000) generated on that initial deposit from Massachusetts’s state income tax would result in a revenue loss of $3,300 over 13 years that withdrawals are made, for an average loss of $254 per year. If one-quarter of Massachusetts’s 106,000 private school students have parents or grandparents that are wealthy enough to use this superfunding technique, then that $254 average tax break would come at a roughly $6.7 million annual cost to the state’s treasury. Without better data on the incomes and wealth profiles of Massachusetts families who choose to send their children to private K-12 schools—and on the current utilization of Massachusetts’s 529 contribution deduction—it is not possible to precisely estimate the revenue impact of these new state tax breaks for private K-12 tuition. But millions of dollars of revenue will be foregone because of this policy that Massachusetts automatically inherited from the federal government with virtually no meaningful debate inside the state. In effect, the state’s college savings program has been quietly transformed into a vehicle for also subsidizing wealthy families’ private and religious school tuition bills. Fortunately, Massachusetts lawmakers can chart their own course. While the state cannot stop the federal government from granting special tax benefits to taxpayers who use Massachusetts’s 529 plan to pay private K-12 tuition bills, there is no reason for Massachusetts to double-down on that special treatment with its own state-level tax subsidies. Already this year states such as Alabama, Nebraska, New Mexico, and Oregon declined to expand their 529 tax benefits to include private K-12 tuition. In Oregon, this required direct action by legislators to reverse an automatic expansion very similar to the one that took place in Massachusetts. As of this writing, Vermont lawmakers are also considering legislation that would specifically reserve the state’s 529 tax benefits only for higher education. 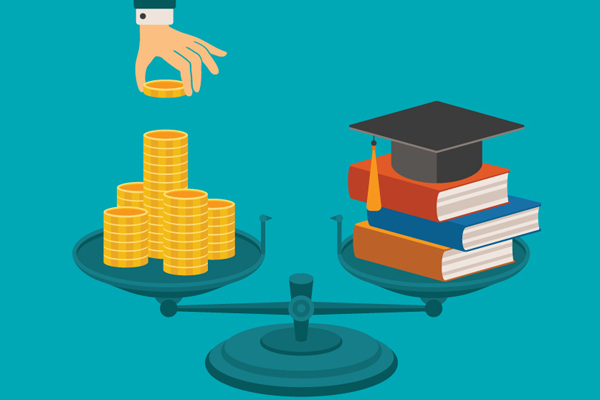 By ensuring that Massachusetts’s 529 tax benefits apply only to college savings, the state would take a valuable step toward restoring this program to its original purpose. The new Massachusetts tax subsidies for private K-12 education were not created by Massachusetts lawmakers but rather by an obscure, automatic link between state law and a highly controversial federal provision that was enacted by the slimmest of margins. Undoing these costly and legally questionable state tax subsidies for wealthy taxpayers is a step worth taking. Over the next few months, state lawmakers must decipher how their existing tax laws are impacted by the federal Tax Cuts and Jobs Act (TCJA) enacted in late 2017. The new federal law has consequential implications for the states that piggyback on federal law to determine their own personal and corporate income taxes. One such provision of the Tax Cuts and Jobs Act that undermines state laws is the expansion of federal tax breaks that now allows taxpayers to use 529 savings plans to pay for private K-12 education. One little-noted provision subverts state laws that prohibit the use of public dollars for private schools by allowing taxpayers to use 529 plans to pay for K-12 tuition.